College can be stressful at times, but have you ever been truly concerned for a friend? Would you feel comfortable expressing your concerns and motivating your friend to get help? It can be difficult to deal with these kinds of issues, but an effective conversation can help more than you think-- it can help change someone's life. 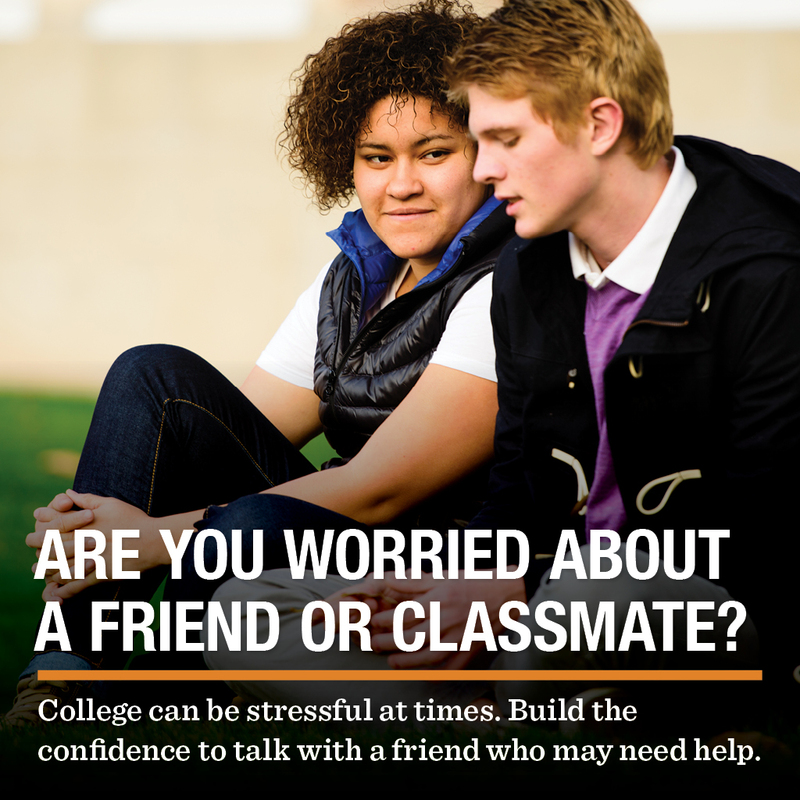 At Porterville College, we want to make sure that we can all recognize signs of distress and know what to say if a friend needs help. At-Risk for Students is an online simulation that lets you practice conversations with a virtual student, so you'll know what to say in real life. You'll learn how to determine when a friend needs help, how to talk with a friend who you're worried about, and where you and your friend can turn to for help. Choose your simulation and click "LAUNCH"
If you have any questions or concerns, please don't hesitate to contact the Counseling department. "This course was interactive so I actually got to practice in a situation that could happen someday. It allowed me to test whether the things I would choose to say in a situation like that are the right things to say."